BBRR’s education birds are available for presentations for groups of all ages and interest levels. For more information and to schedule a program, contact Daena Ford at information@bbrr.org, 585-267-5483. Our Broad-winged Hawk arrived into BBRR care in January, 2017. Presumably male based on size, he acquired an injury to his right wing as a result of a collision with a motor vehicle. This has left him unable to obtain full flight. Despite his injuries, he has adapted well to life as an education bird and is quite a charmer. Nest in the forest, and often near a stream where they can find frogs to eat! One of our most common native owls species, it is a real treat when people meet our Great Horned Owl. She is a big, beautiful female, incapable of full flight due to permanent wing damage. For such a large, fierce predator, she has a very shy personality, but is proving to be an impressive ambassador for her species and all owls. 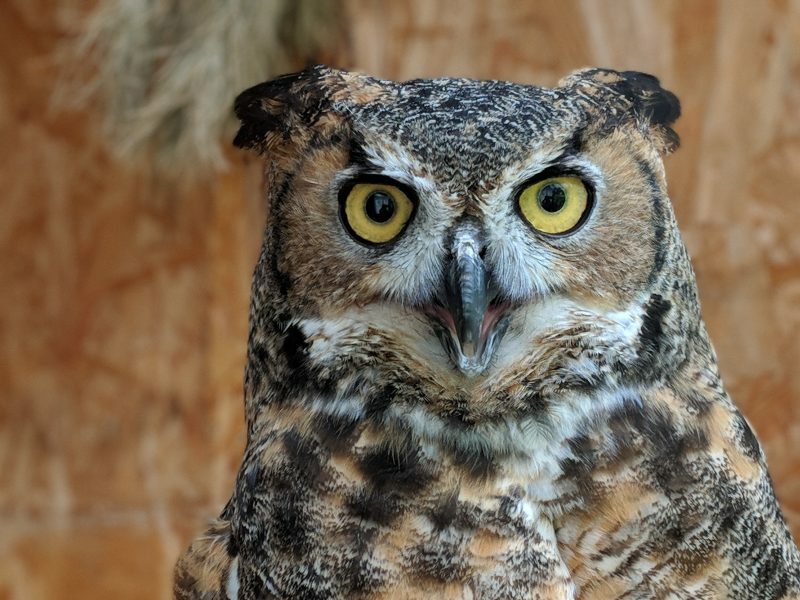 Our Great Horned Owl was found as an adult, and has been with us since May 2017. BBRR was very excited to acquire this female Merlin in October, 2017. 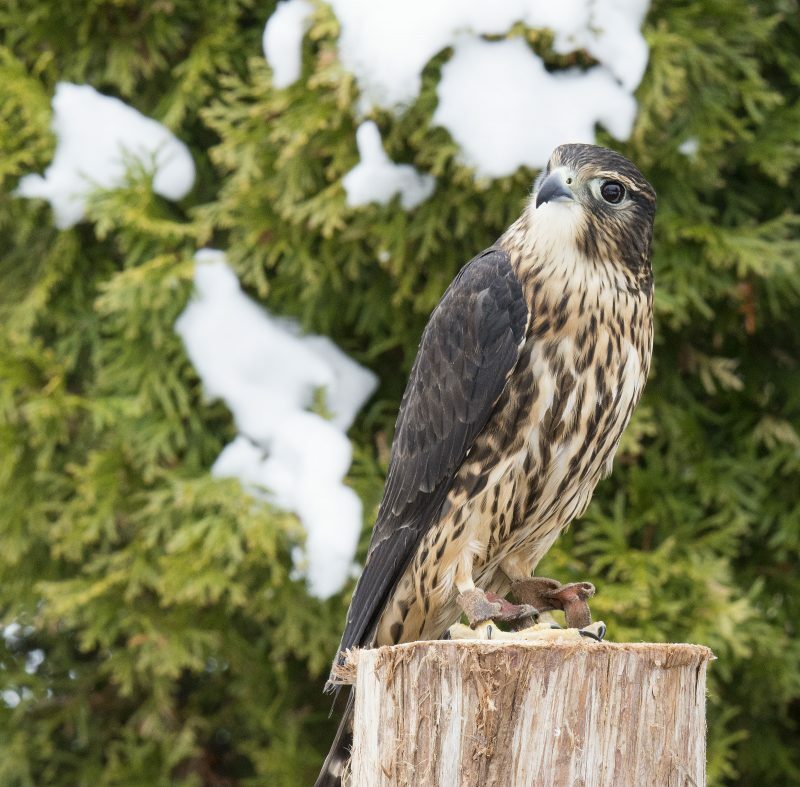 Merlins are a medium sized falcon that are considered to be a rare find in New York state. However, they are showing up more and more as their population rebounds from environmental issues. Our Merlin is unable to fly due to a wing injury, but that doesn’t stop her from being energetic, bold and curious like most Merlins are. Latin name is Falco columbarius. Falco refers to falcon, and columbarius means dove-like. A small member of the falcon family built for aerial hunting of songbirds and large insects. Merlins are bold and will use a crow’s nest for their own. In medieval times, a Merlin was the falconry bird for Ladies. 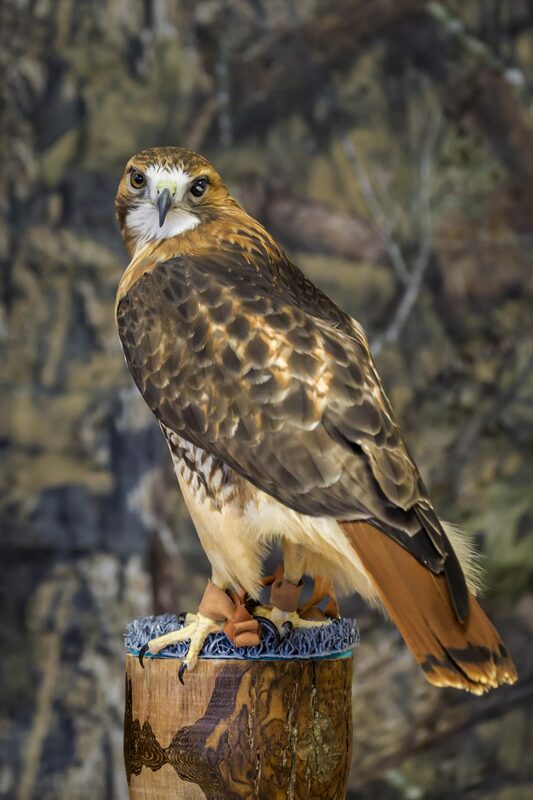 This Red-tailed Hawk was found in central New York, and had been shot. Fortunately he recovered from the trauma, but is unable to fly due permanent damage to his right wing, and also is blind in his left eye. He’s been with BBRR since May, 2017. HIs calm demeanor has made him a great education bird. A familiar species to our area, people enjoy seeing this beautiful bird up close for a change. 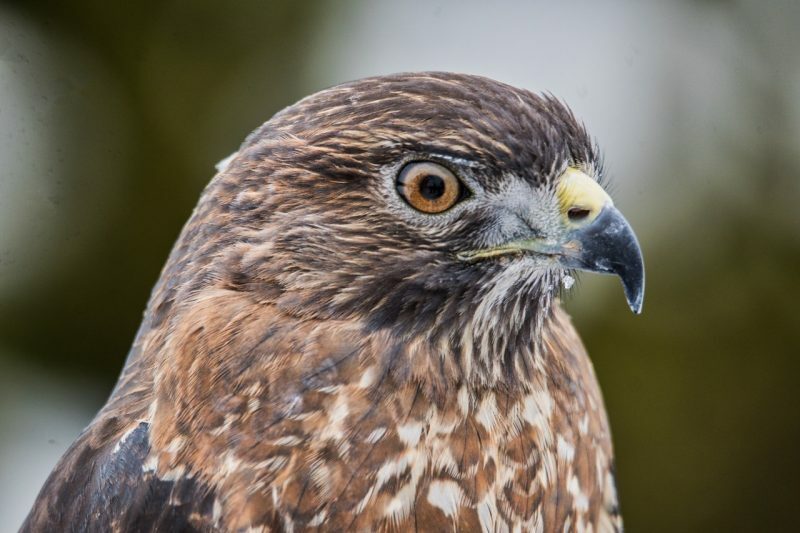 Found across North America, there are 16 subspecies of Red-tailed Hawks.